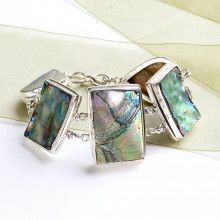 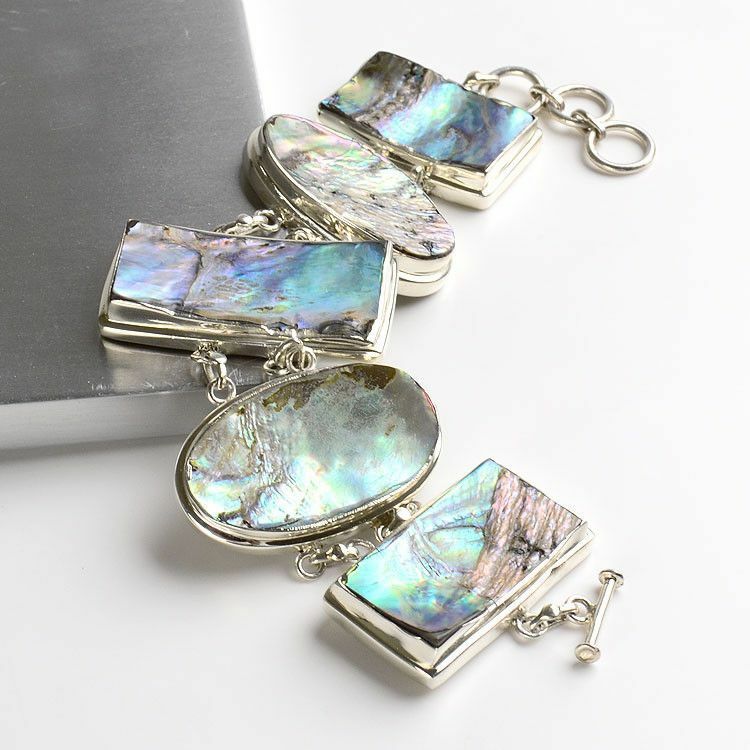 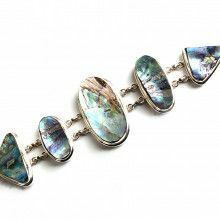 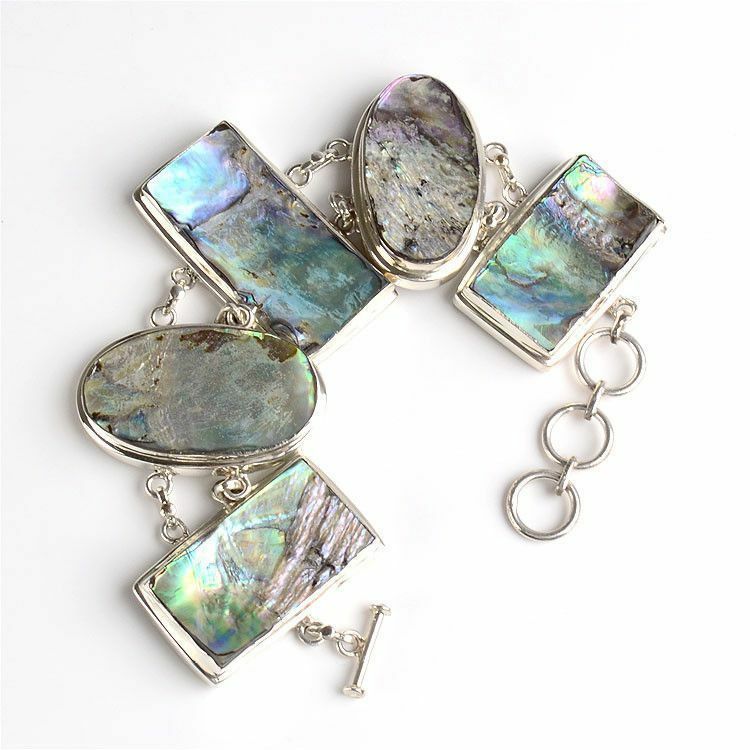 This authentic abalone bracelet in sterling silver was masterfully hand-crafted especially for The Russian Store. 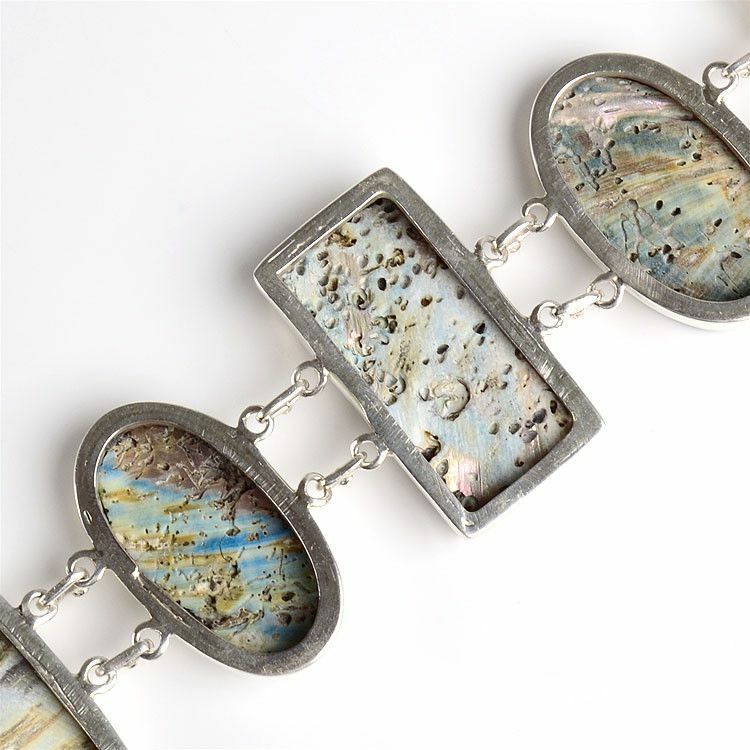 It consists of five handpicked and polished stones that are each unique and softly ornamented by modern style design. 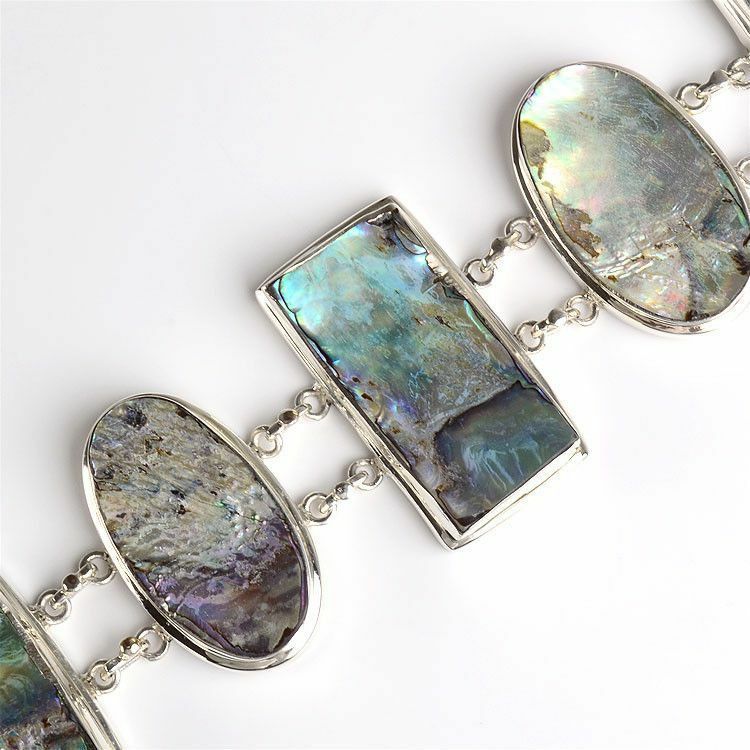 The center stone is the largest, measuring at 1 1/2" long.